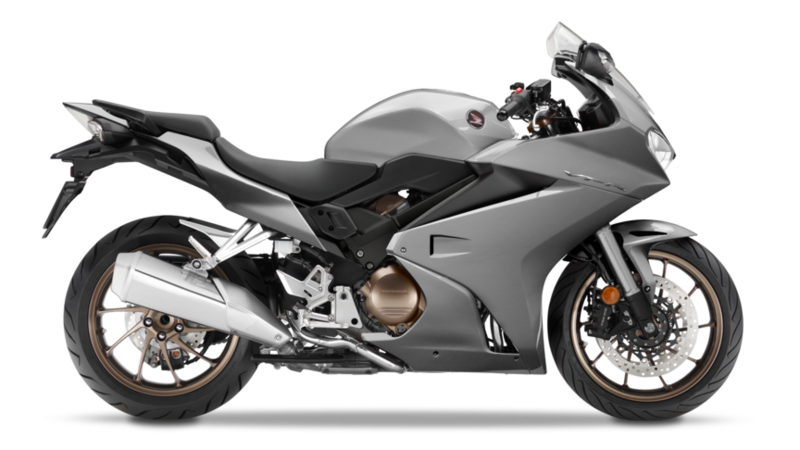 The VFR800F’s distinctive bodywork elegantly mixes sharp angles with soft curves to create a sport tourer silhouette like no other. It pays respect to VFR history with details like the evocative air-intake ducts on the fairing flanks. The ergonomics have been carefully thought out; the middle of the bike is slim – for good ground reach – with plenty of room on the broad seat to find the perfect position. The sleekly designed fairing provides a dynamic, sporty figure while the front indicators are neatly integrated into the wing mirrors. That make the ride effortless. To maximise comfort, the VFR800F’s seat height can be adjusted to either 789mm or 809mm. Honda’s Traction Control System (TCS) maintains consistent rear wheel drive and grip. 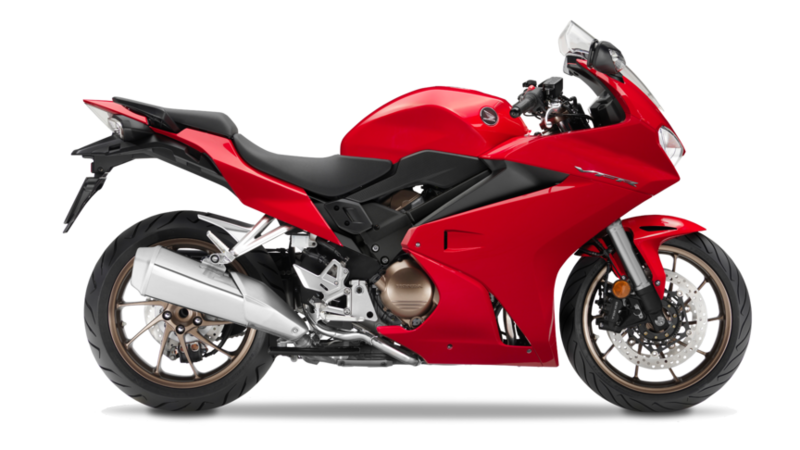 The VFR800F is 10kg lighter than the previous model. The aluminium twin-spar frame has been honed and matched to a new Pro-arm swingarm with Pro-Link rear suspension, balanced at the front with two-piece 43mm telescopic forks. There could be more than one way to finance this VFR800F. Find out about Personal Loan and PCP below. You can part exchange your existing bike or put down a cash deposit. 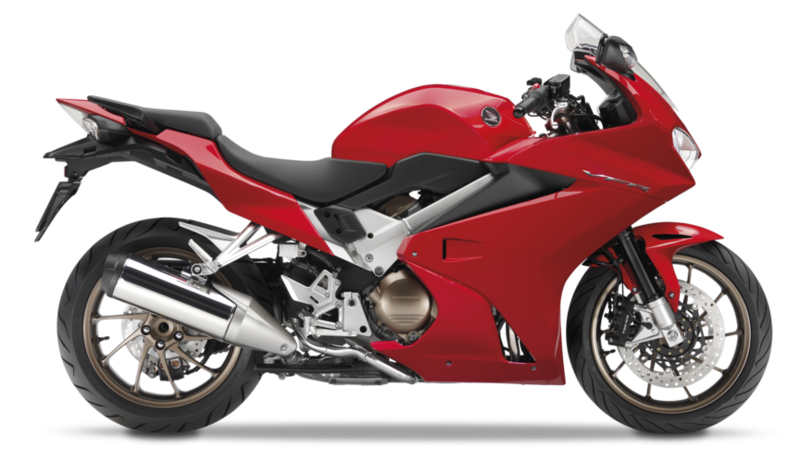 The monthly repayments cover the rest of the cost of this VFR800F including any additional fees and interest. 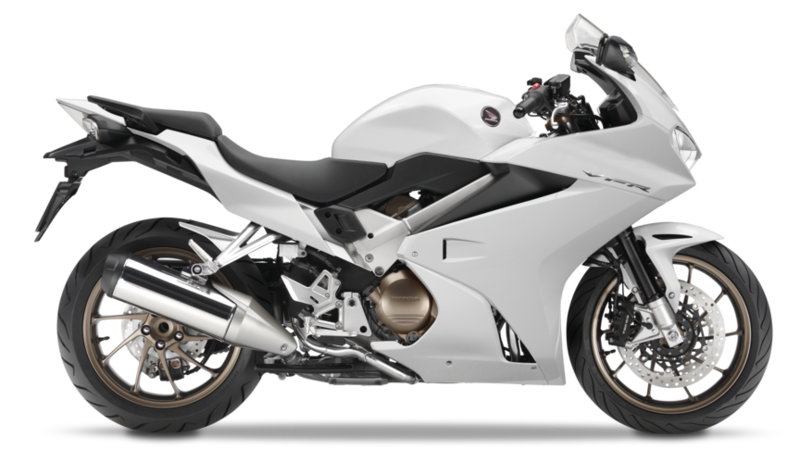 Once you have paid all the monthly repayments, the VFR800F belongs to you. You can part exchange your existing bike or put down a cash deposit. 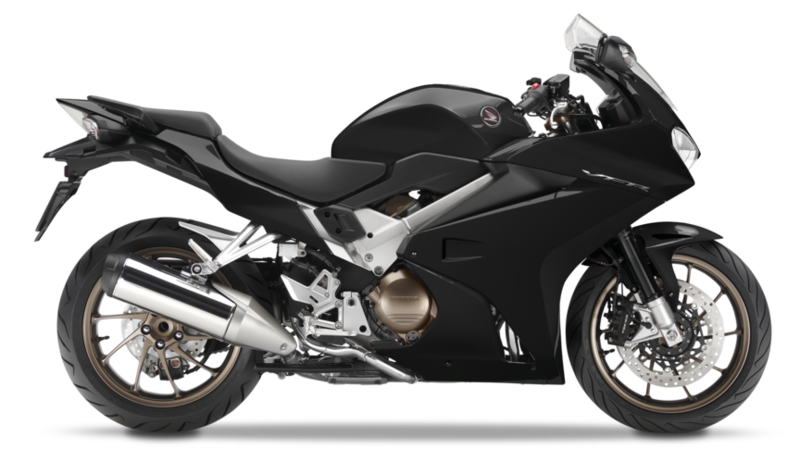 Typically, your repayments are less per month and cover a proportion of the VFR800F's value and any additional fees and interest. At the end of the term, there is a final 'balloon payment' to pay before the VFR800F belongs to you.